These General Terms and Conditions of WALTER Werkzeuge Salzburg GmbH apply to the ordering of goods from the product range offered in our online shop. Upon conclusion of the contract, these are valid for all mutual claims between the customer and WALTER Werkzeuge Salzburg GmbH. 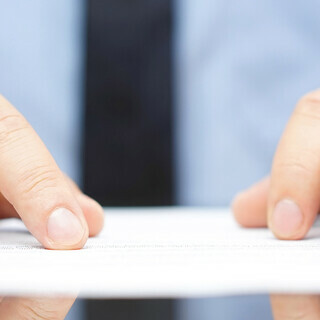 Deviating conditions of the buyer do not become part of the contract and are invalid. By clicking on the button "order" you make a binding offer to buy the goods in the shopping cart and accept the terms and conditions. The order overview, which is then sent automatically, documents that the order has been received, but does not constitute acceptance of the offer. A contract is only concluded when the goods have been dispatched. 3.1. The delivery of the goods is at the expense and risk of the customer. The shipping costs, which are displayed in the online shop for the goods and when paying for the goods, are borne by the customer. 3.2. Insofar as the ordered goods are available, the statutory delivery periods apply, unless otherwise agreed. Specified delivery times are not binding, unless they have been expressly declared as binding. For delivery against payment in advance, the goods will be shipped only after receipt of payment. 3.3. Incomplete deliveries or damages on the way of transport, as well as damages despite proper packing the customer has to complain within 24 hours with the responsible post office or delivery company. The submission of the written transcript is a prerequisite for the replacement. 4.1. All prices on this website are in EURO or in POUND, including VAT or sales tax, excluding packaging ex works. The prices indicated on the homepage apply only to online orders. 4.2. You can pay on this website via payment methods: PayPal, credit card (Visa & Mastercard), Sofortüberweisung **, cash on delivery *** or advance payment **. Our invoices are payable within 10 days from the invoice date. The goods are shipped after full payment (except payment by cash on delivery). **) only possible in Austria & Germany. WALTER Werkzeuge Salzburg GmbH retains title to all goods delivered to a customer until final and complete payment of the delivered goods. Insofar as WALTER Werkzeuge Salzburg GmbH exchanges a good within the scope of the warranty, it shall be deemed agreed that the replaced goods shall become the unlimited property of WALTER Werkzeuge Salzburg GmbH. WALTER Werkzeuge Salzburg GmbH warrants that at the time of delivery, the products will not be faulty, which will nullify or reduce the value or fitness for normal use. 6.1. Recognizable defects must be reported in writing within 8 days, accompanied by the delivery note and the invoice. 6.2. If our goods have defects for which we need the parts that are traceable, you no longer have to go home if you are after-or-after the purchase to repair or exchange. The defective goods must be returned in their condition for inspection. 6.3. We can refuse the repair or replacement as long as the buyer is not connected to the defective part of the goods. 6.4. We reserve the right to make goods over the value of the goods instead of improving them. 6.5. Further claims of the buyer, in particular on conversion, reduction or compensation are excluded. 6.6. If we are complained about a defect and the complaint, so the transmission is a change in any case. Not returned goods are not accepted. 6.7. The warranty period is 24 months from presentation of the original sales invoice. Our products are not intended for commercial use. The warranty expires in commercial use. 7.2. To exercise your right of withdrawal, you must notify us by means of a clear statement (such as a letter sent by post, fax or e-mail) of your decision to withdraw from this contract. You can also use the attached model withdrawal form, which is not required. 7.4. If you withdraw from this Agreement, we will provide you with all payments we have received from you, including shipping costs (except for the additional costs arising from your choosing a different type of delivery than our standard, most favorable standard delivery have chosen to repay immediately and at the latest within fourteen days from the date on which the notification of your revocation of this contract has reached us. For this repayment, we use the same means of payment that you used in the original transaction, unless otherwise agreed with you; In no case will you be charged for this repayment fees. 7.5. In the case of purchase contracts in which we have not expressly offered to collect the goods ourselves in the event of cancellation, we may refuse to repay them until we have received the goods back or until you have provided proof that you have returned the goods , whichever is the earlier. 7.6. You have to bear the immediate costs of the return. 7.7. You only have to pay for a possible loss in value of the goods, if this loss of value is due to a non-necessary for the examination of the nature, characteristics and functioning of the goods handling. 7.8. Please return the goods completely, including all accessories and in their original packaging. The legal relationship between the buyer and WALTER Werkzeuge Salzburg GmbH is subject exclusively to Austrian law. Place of fulfillment for delivery and payment is 5081 Anif, Austria. Jurisdiction for all disputes arising from or about this order is the city of Salzburg.